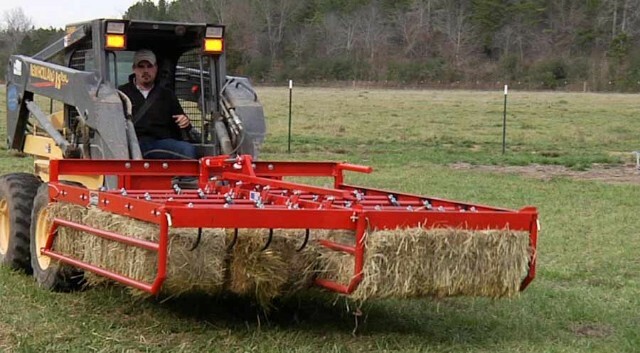 With the Accumagrapple Elite, one man, with one piece of equipment does it all: gather, lift, load and offload hay. Spend less time and use less fuel and less labor to get the job done for less cost. A unique feature of our Elite unit is the ability to quickly move the packing arm from one side to the other by the removal of one pin. This allows for accessing your truck or trailer from either side. 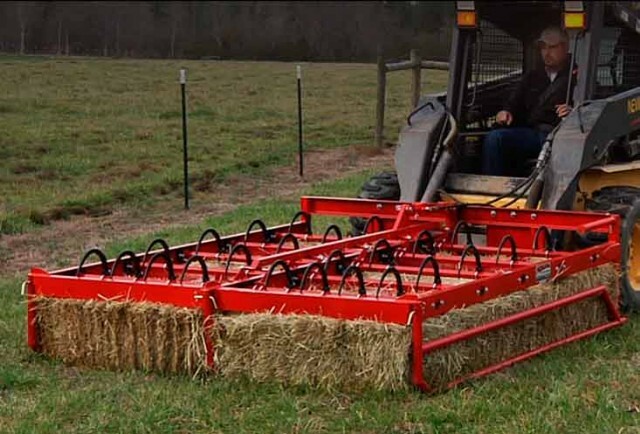 For bales that range in size from 36" to 41" (Preferred bale size is 39" which provides for variance in the size of the bales.) 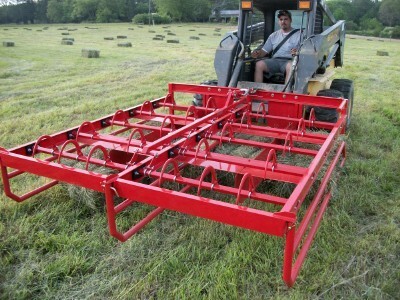 Unit includes 24 bale hooks ad stand for storage. Ships less hoses.